• It is important to see AND hear you in order to appropriately assign your scenes. 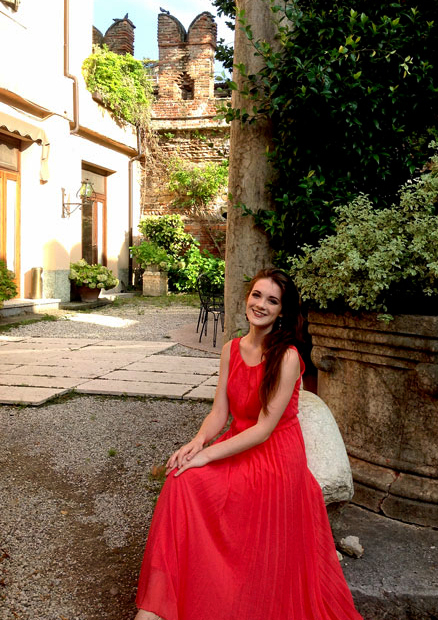 • Please provide links to recordings of you singing 2 Italian arias in the field below. • Please attach your resume in the field below. • Applications are due no later than March 1, 2019. • Upon submitting your application, proceed to the Tuition page and submit your application fee. Applications will not be processed until all materials and the application fee have been received. The application fee of $50 must accompany your application. Upon submitting your application here, proceed to the Tuition page to pay the application fee. Applicants will be notified of their acceptance on or before March 15, 2019. A non-refundable deposit of $1000 will be due by April 1, 2019. The remaining balance of $3,900 will be due by May 31, 2019. To avoid PayPal’s 4% service fee, you may choose to mail us a check or money order made out to Opera Viva! If you choose to pay via PayPal, please go to the Tuition page and Add to Cart.